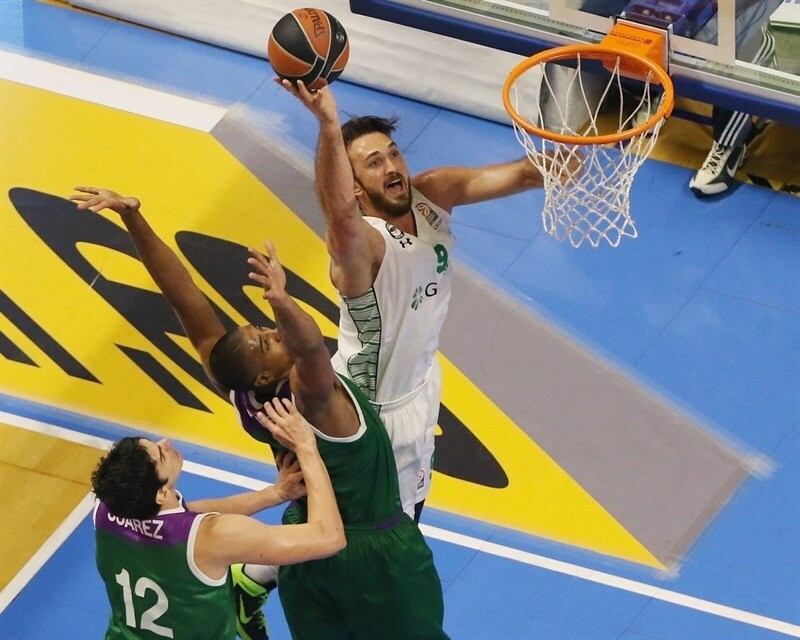 Unicaja Malaga got off to a strong start in the Top 16 by downing Darussafaka Dogus Istanbul 70-62 at home in Group E on Tuesday. Edwin Jackson scored 13 of his 20 points in the fourth quarter to lead the winners. Mindaugas Kuzminskas added 15, while Richard Hendrix had 13 points, 8 rebounds and 3 steals for Unicaja. Semih Erden led Darussafaka with 15 points and 11 rebounds. Erden led a 0-6 opening run that sent Darussafaka to a 14-16 edge after 10 minutes. A layup by Marcus Slaughter soon gave the guests an 18-26 margin, but Hendrix and Jamar Smith brought Unicaja within 29-32 at halftime. Kuzminskas stepped up after the break and got help from Jackson and Hendrix to give Unicaja a 54-47 margin late in the third quarter. Three-pointers by Jamon Gordon and Milko Bjelica brought Darussafaka within 54-53 after 30 minutes. 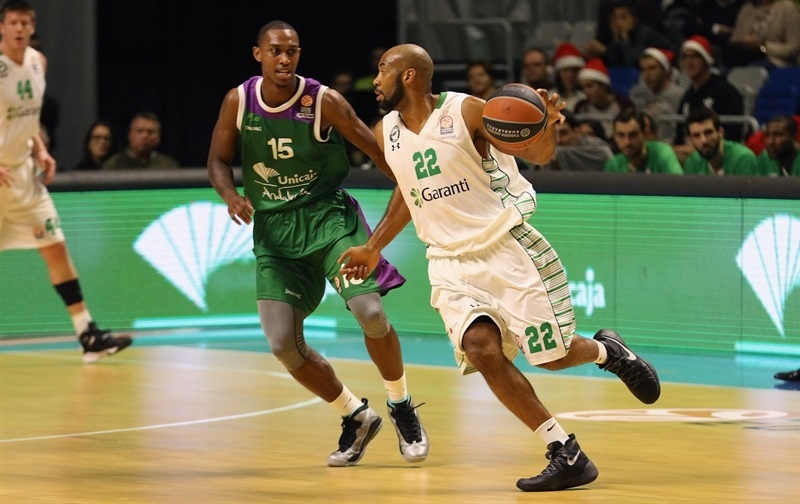 Jackson had 7 points in a 10-0 run that sealed the outcome, 64-53, as Darussafaka never recovered. 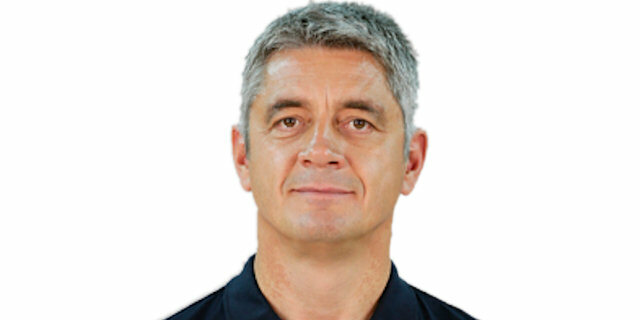 Unicaja head coach Joan Plaza surprised everyone by starting playmaker Alberto Diaz for the first time in his short Euroleague career. Luke Harangody got Darussafaka going with a jumper which Erden followed with a layup for. Erden kept pacing the guests with a two-handed dunk to cap a 0-6 opening run, before Kuzminskas split free throws. Hendrix stepped up with a layup and Jamar Smith bettered Mehmet Yagmur's driving basket with a bomb from downtown to make it 6-8. Kuzminskas took over with a power basket off the baseline, but Yagmur did better with a corner triple. Carlos Suarez finished a three-chance Unicaja offense with a layup, but Reggie Redding answered from downtown for a 10-14 Darussafaka lead. Kuzminskas and Fran Vazquez hit free throws to tie it at 14-14. 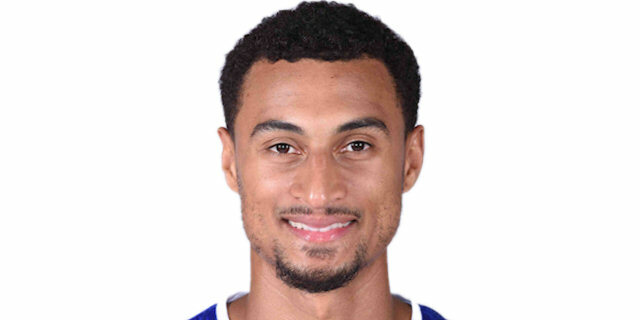 Scottie Wilbekin took over with a driving layup to put Darussafaka back ahead, 14-16, after 10 minutes. Wilbekin hit a stop-and-pop jumper early in the quarter and Erden dunked again to boost the visitors' margin to 14-20. 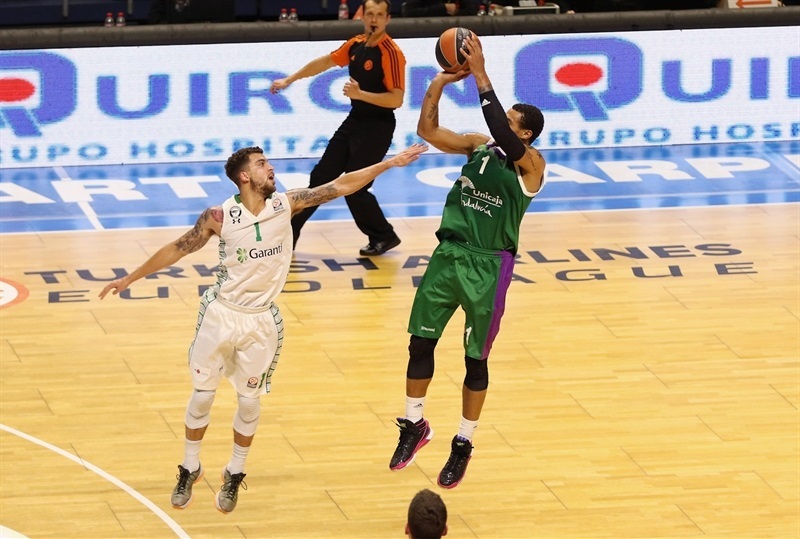 Unicaja was held scoreless for more than two minutes until Jackson made free throws. The hosts tried a new frontline with Will Thomas and Hendrix together. Thomas took over with an alley-oop slam but Emir Preldzic answered with a wild driving layup and Gordon set an 18-24 Darussafaka margin. Slaughter scored around the basket, but Hendrix answered with consecutive layups to get the crowd involved at 22-26. 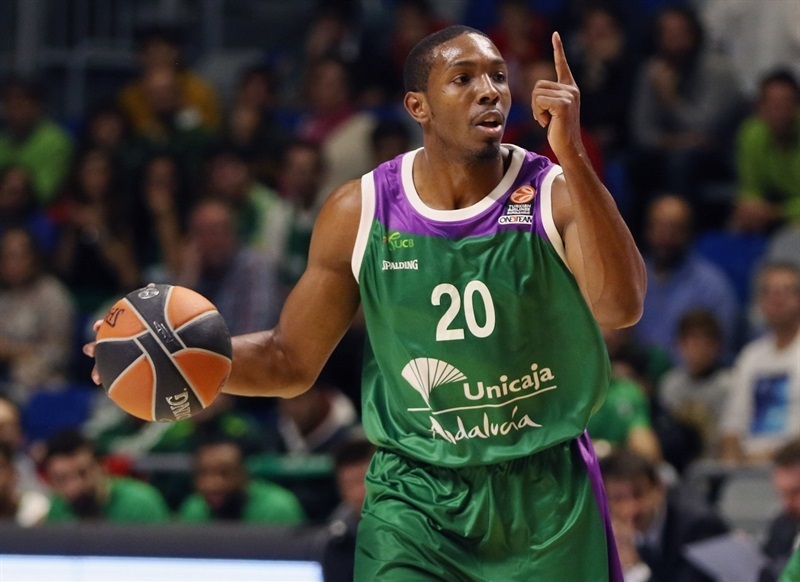 Hendrix kept pacing Unicaja with another layup, but Gordon answered with a close basket. Thomas shined with a jumper off the dribble. Ender Arslan split free throws and a three-point play by Luke Harangody gave Darussafaka a 26-32 margin. A buzzer-beating triple by Smith fixed the halftime score at 29-32. Hendrix downed a three-pointer soon after the break and a corner jumper by Kuzminskas gave Unicaja its first lead, 34-32. Erden split foul shots and a corner three-pointer by a red-hot Kuzminskas boosted the hosts' lead to 37-33. Darussafaka kept struggling to score until Erden stepped up with a put-back layup. Hendrix dunked and even after Harangody finished a two-chance Darussafaka offense with a jump hook, Nemanja Nedovic struck from downtown for a 42-37 Unicaja lead. Kuzminskas hit another three-pointer, but Erden scored again and free throws by Harangody kept the guests within 45-41. Kuzminskas and Wilbekin exchanged foul shots and another layup by Erden brought Darussafaka as close as 47-45. Jackson fired in one from beyond the arc and a fast break layup by Dani Diez prompted the visitors to stop the game at 52-45. Preldzic and Jackson made free throws, but back-to-back three-pointers by Gordon and Bjelica brought Darussafaka within 54-53. 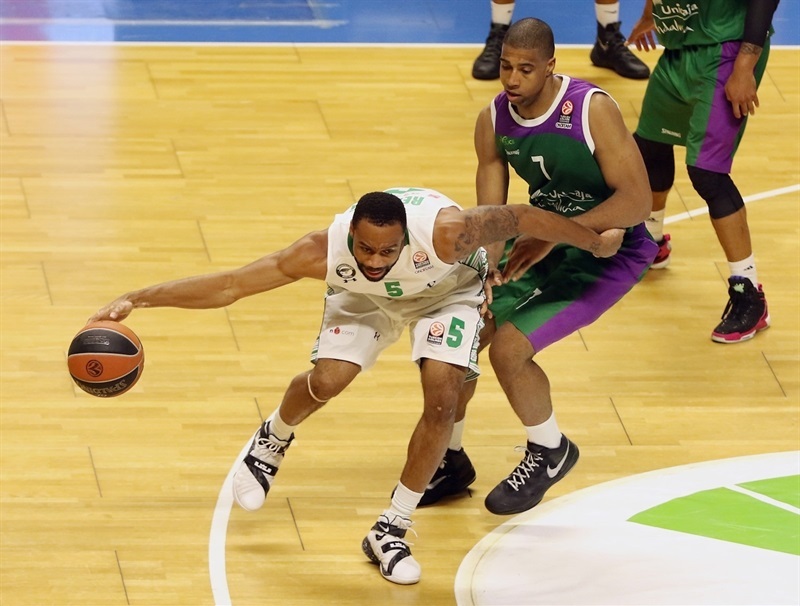 Jackson shined with a driving layup early in the quarter, as Darussafaka was held scoreless for more than three minutes. Meanwhile, a hustle play by Nedovic allowed Jackson to strike from downtown and ignite the crowd at 59-53. 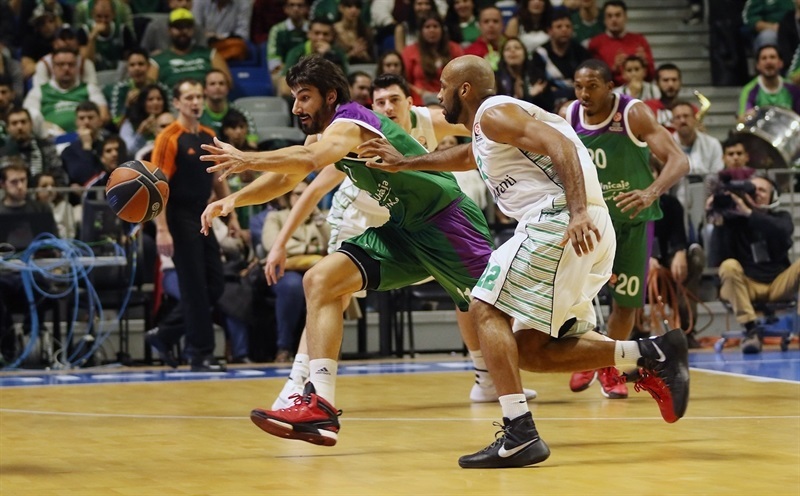 Unicaja kept collecting steals and did not allow Darussafaka to find the way to the basket. Thomas joined the three-point shootout to force head coach Oktay Mahmuti to stop the game at 62-53. Jackson took over with a one-handed dunk that made it a double-digit game. 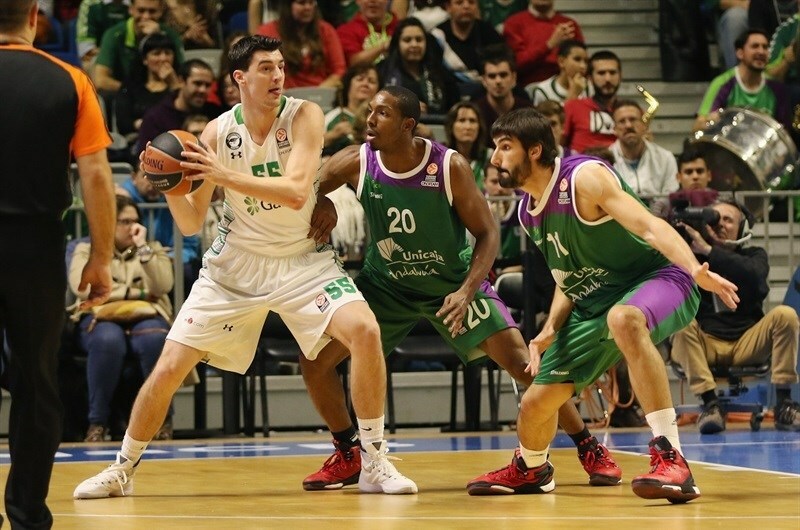 Redding buried a mid-range jumper and a tip-in by Erden gave Darussafaka hope at 64-57. The visitors struggled to score when it mattered most; they netted just 4 points in eight minutes. A three-pointer by Jackson sealed the outcome at 67-57 in the next-to-last minute. Darussafaka kept trying, but Unicaja was able to celebrate a well-deserved home win. "It is always tough to start any kind of eliminatory group like this and more if you play at home. We reacted pretty well, but we need to learn from this and do better next time. We had a tough start, missing very easy shots. When we were able to focus and get our big men involved, things started to roll. We were lucky sometimes, but it is the kind of luck you look for, working hard, diving for loose balls. I hope that this is an important win down the road. Defense is the key for us. We have been doing well for a couple of games, but must do even better." 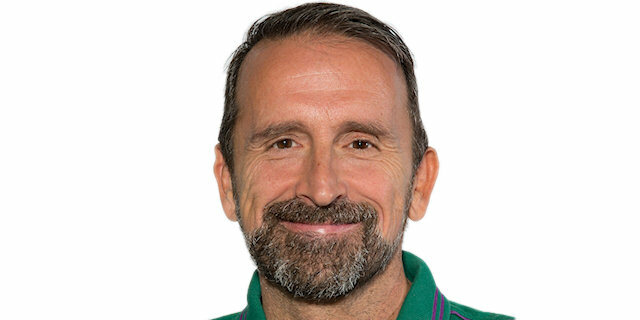 "Congratulations to Unicaja for this victory. It was a good game by two teams in a great atmosphere of basketball. In the first part we were fine. At the end of the game they made very difficult shots that were key the victory. We must continue working to have more organization in our attack, especially when you face as aggressive a defense as Unicaja. We have to be able to play 40 minutes without lowering our game to compete at this level." "I feel good. I am very happy that we started the Top 16 with a win. We know that if we want to make it to the playoffs, we have to win all of our home games, so starting like this, against a good team like Darussafaka, is very good. We have to focus in the upcoming games. I played very bad in the first half and wanted to redeem myself in the second half. I got a little bit in my rhythm and thought this had to be my game and take over a little bit. I was lucky that the shots fell and am very happy we won." "For the first game in this phase, the Top 16, we competed with a lot of energy. In the first half we were fine, but in the second they began to make big shots and gradually take the lead. We let them take important offensive rebounds. We must continue to work and improve to compete at this stage of the competition."